Successfully treats a wide range of common health conditions including Back pain, Neck pain, Muscular aches and pains, Stress, Depression, Anxiety, Headaches and Migraines, and Infertility. The World Health Organization (WHO) recommends Acupuncture as an effective treatment for over forty medical problems, including allergies, respiratory conditions, gastrointestinal disorders, gynecological problems, nervous conditions, disorders of the eyes, nose and throat, and childhood illnesses, among others. Acupuncture has been used in the treatment of stop smoke and substance abuse. It is an effective and low-cost treatment for headaches and chronic pain and associated with problems such as back injuries and arthritis. Additionally it has also been used to treat stoke aid for recovery and after surgery. An acupuncture treatment involves the insertion of fine, sterile needles into specific sites (acupuncture points) along the body's meridians to clear energy blockages and encourage the normal flow of Qi (energy) throughout the individual. The practitioner may also stimulate the acupuncture points using other methods, including moxibustion, cupping, laser therapy, electro-stimulation and massage, in order to re-establish the flow of Qi. Today, acupuncture is one of the most accepted complementary therapies in the country, with more than 80 per cent of GPs referring patients to an accredited acupuncturist in the past 12 months. And, despite not being part of the standard curriculum, about one-fifth of GPs have gone on to do post-graduate training in acupuncture. All acupuncture or Chinese herbal medicine treatments at 5 Elements Acupuncture & Chinese Medicine clinic are done at a set price. This gives Lilli the freedom to utilise all her available tools and skills to provide a premium service, whilst allowing patients to relax knowing the cost of their treatment. Lilli provides quality acupuncture and Chinese herbal medicine prescriptions which are skilfully and specifically custom tailored to each individual patient. Lilli Ho is registered with all Health Funds which operate in New South Wales. Providing acupuncture and Chinese herbal medicine with professionalism and integrity, Lilli endeavours to develop a trusting with her patients. Lilli’s aim is to demystify Traditional Chinese Herbal Medicine and to advise her acupuncture and Chinese herbal medicine patients on how the ancient healing art can be best utilised to achieve and maintain continuing health. 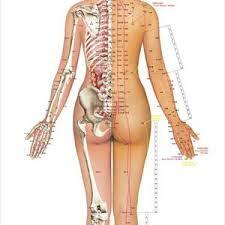 Lilli is well skilled in providing a favourable therapeutic outcome with the least amount of treatments.